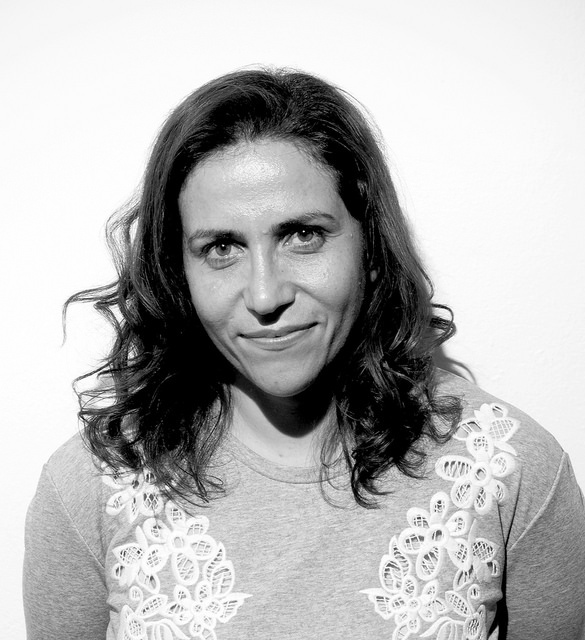 I had the honor this week to connect with the incredibly talented, Short Film Grand Jury Prize Winner, Soudade Kaadan. Her story may be one of the most important in the whole festival. As a Syrian filmmaker, she has experienced more hardships than any American filmmaker can imagine. She does not have nearly the same resources as many of her competitors yet she still manages to make high caliber film that is enjoyable even without its profound political context. Her film, Aziza, manages to find humor in a dark place as it follows a husband and wife, who've lost everything and simply want to hold dearest what they have left. The husband bullishly trains his wife to drive, worried about laws of the road that barely seem to exist. There’s a bitter irony to their relationship that fuels the humor of the story. The setting is grim, set in Lebanon, these two refugees long for normalcy. But, that innocent desire for a peaceful life places a feeling of relatability in the characters. Truly, Kaadan’s cinematic ability derives from her acute sense of irony. Immediately, she uses simple tools like sound design, to set up her scene only to flip the true nature of its setting. Ultimately, that is what this film does best. It presents the setting, only to flip the context to show the dichotomy between how a person wishes the world was and what the world actually is. Aziza joined an elite class of Sundance Grand Jury Prize Winners this week and rightfully so. Soudade Kaadan is surely a star in the making, and it is our responsibility to support her as she grows. Syrian filmmakers have rich stories to give that provide an important perspective outside of the average western propaganda. Check out our interview below. Her answers are deeply insightful. Thank you so much Soudade for sharing your story with us. This is an incredibly valuable perspective for us to understand. Q1: Let’s start with a quick bio about yourself. Who are you, where do you come from? What kind of stories do you want to tell? How do you want to tell them and why do you want to tell them? I'm a Syrian director, born in France, then at the age of 8 went back to Damascus where I lived all my life until the war started in Syria, and I left at the end of 2012. I used to make documentary films, and my first feature fiction film The Day I Lost My Shadow, won the Lion of the Future award for best debut film in Venice Film Festival 2018, participated in several festivals: TIFF, Busan, BFI and IFFR and my new short fiction film Aziza just won the Grand Jury Prize for best short fiction film. As I'm usually the scriptwriter of my own movies, I write stories I know about Syrians, whether inside Syria or exile, and refugee state. But I would love to direct also stories told about other scriptwriters, about simple human being, found them self in complex situation in history, while just trying to make day to day act. In comic or tragic form. As comedy is only tragedy plus time. Q2: How do you feel the place that you come from, and the culture around you, affects the way you make film? There is the universal approach to human beings and their stories which is something that affects all of us and we can all relate to. The echo of this simple story you can find it in all culture. And there is also the rich culture we came from. I'm coming from a country with an ancient history Syria, one of the oldest capital in the world Damascus, where first alphabet were invented in Ugarit. All this gave us a very larger feeling of time and history in the story we tell. All this made us feel like the wars, the dictatorships that invaded my country during histories didn't last. So all this give me more awareness of the context and time of my characters in the story. Q1: What is the political backdrop that your story lives in? It depends of the movie. In The Day I Lost My Shadow it was set in the besieged area in Damascus, which is Douma and how the simple citizens were trying to survive in the beginning of the pacifist movement. In Aziza the political backdrop is the racism and the fear of others Syrians face in different countries. In this case it was Lebanon, but it would be any country. The long history of two countries Syria and Lebanon, based on the regime decisions, only made the situation of Syrian immigrants worst in Lebanon. Q2: The father character is so obsessed with the laws of the road, why is that so thematically important to bring up so many times? And, what is the thematic reason for personifying the car? The car symbolize the dearest objects we keep from our country. The only things we had when we can't comeback. He isn't obsessed with the laws, he is only afraid that she won't take care of his car Aziza and that she might destroyed it. It's only playing on the image of men who believes women can't drive properly. Driving in Lebanon with a Syrian car, symbolizes the difficulty of doing simple things in life when you are a refugee in a hostile environment. Could be anywhere. Q3: How do you find humor in such a dark place? And why is it important to you that you find humor in an otherwise serious situation? In war countries the only thing is left with us to survive the daily struggle is humor. But I couldn't before use the humor in my first feature, as the pain was just here, the trauma that I lived was just here. Now that time has passed a little, about 7 years, I can find humor, and try with a smile to tell our stories, to break all the stereotypes of being Syrian with a laugh. Q4: Can you walk me through your travel process? Did you try to get tickets to America? Or is it outright impossible to travel here if you’re a citizen from your country? What are the logistics behind all of this? I hold only the Syrian passport, so I'm part of the countries included in the travel ban by Trump law. When I submit for the visa saying that I need to be at Sundance, the consulate in Beirut, asked for a waiver from this ban, and the answer never arrived. Not until now! The visa ban on people from my part of the world continues as do plans for walls instead of bridges. Q5: How does it feel to be shut out of fully celebrating such an important career milestone? Do you feel like its a setback, being unable to come to Sundance to network, and to build off of your success? Are there ways you can use these struggles to your advantage? 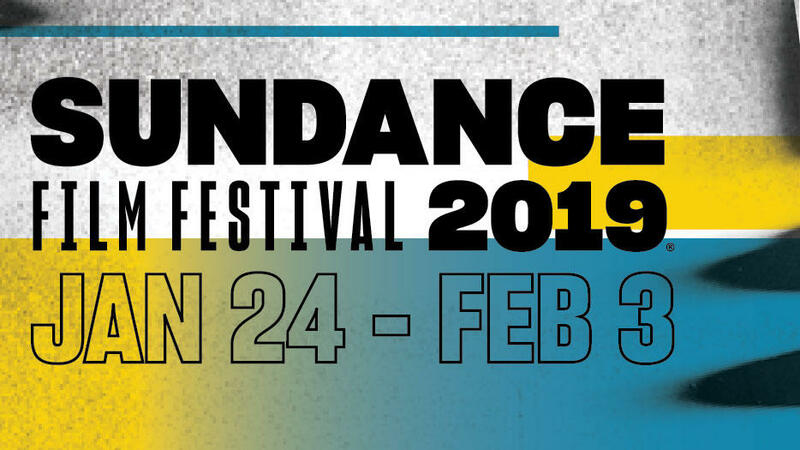 I feel sad of course, there is noting that being part of the festival Sundance, and to have an equal opportunity to be present in this most important industry platform. But I was so moved to the executive director of Sundance Keri Putnam raising the issue on the opening day saying "Their voices will be heard". Also the amazing support of the team of Sundance, made me feel afterward as I've been there. Q7: What’s next for you? I'm preparing now a feature fiction film Nezouh, based on the same principal character of Aziza that won the Grand Jury Prize. It's a film with humor, telling the story of a Syrian who doesn't want to leave, and won't let anyone to call him an immigrant. His daughter Zeina, never almost left her closed conservative house, until the day a bomb falls on her house and the ceiling opens to the wide sky with the stars and it's then that she discovers that neighbor's son Amer. So it's a coming age story with humor. Q8: What do you want people to know about you as a filmmaker? I'm honored and humbled that my last two films won major prizes in major festivals: Venice and Sundance. This is a recognition that we can tell our stories in our own voices. The same should be included in the industry. Many films are prepared now about Syrians and refugees and rarely Syrian filmmakers are asked to direct them, even after this recognition. This is an appeal to include more diversify voices in the cinema industry and to reach out to us, the filmmakers eager to tell those stories. The diversity in voices in films by women filmmakers should be not only in festivals circuit, but in the production state and cinema industry. Q9: What is it like to make film in your country? What resources are available to you and how do you work within the resources you have available? There is the situation of making films in Syria before the war and after the war. Before the war, we used to work under the censorship, being a very limited number of filmmakers, as there is no cinema school in Syria and only one functioning cinema. After the war it become almost impossible. Kind of suicidal if you want to tell an honest story. That's why most Syrian filmmakers make their films about their countries in exile. We called it the new Syrian Cinema in Exile and it's booming. A lot of critics have noticed how the war created a new wave of Syrian cinema, and I'm proud that I'm part of it.